I had finished my tour of the North of the country when I visited most of our North Indian centres. This month, it was time to tour the South! So, I headed off to Chennai one Tuesday morning rescheduling my dialysis so that I would get a full night of dialysis on Tuesday which is usually my weekly off. That's one more advantage of home hemo. You choose when you want to or do not want to dialyse. Chennai was hot. I mean, really hot. The humidity made it worse. I found myself getting uncomfortable the moment I stepped out of an air-conditioned area. I went for an early morning swim at the hotel I was staying in. The water in the pool was also very warm. This was quite a contrast from the pool I go to in Hyderabad. This made the whole experience much less pleasurable. These days, in Hyderabad, when I get into the pool, the entire time I spend in the pool is so good. The cool water against your body can be a welcome relief from the heat. 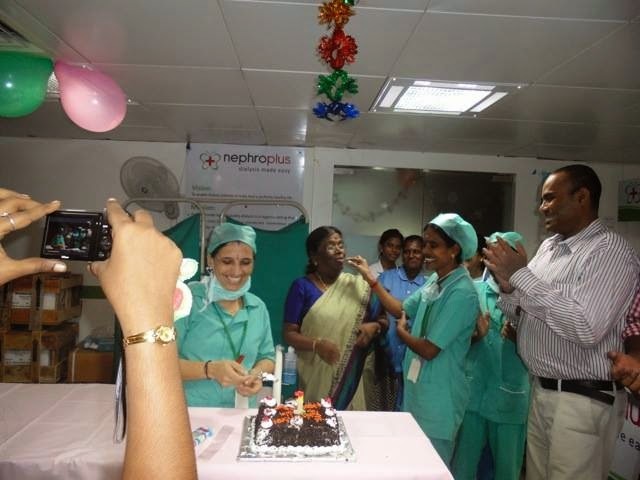 Our Chennai centre at the reputed Bharathi Raja Hospital in T Nagar was celebrating its first anniversary. We had a small celebration in the unit where our Nephrologist partner cut the cake and we all had a team lunch. Many of our patients also participated and were all very excited that the unit was one year old! We are growing really fast in Chennai and recently took over another four units making our Chennai presence the largest across the country in terms of the number of units per city. 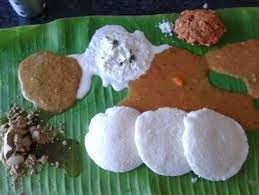 Chennai is home to the famous Murugan Idli Shop. The chain has grown by leaps and bounds over the past few years. I visited two of their outlets - one on North Usman Road that serves meals at lunch time and the one in T Nagar which serves regular 'tiffins'. The fare served at both joints is amazing. The soft rice idlis, the vadas, the dosa along with a delectable array of chutneys and sambar make Murugan a must-visit during any Chennai trip. Luckily our dialysis centre is very close to both the joints! When I was in Chennai, I got an email from a former colleague of mine. He mentioned that he was diagnosed with CKD a few months back and was on dialysis for the past couple of weeks. He stays in Bangalore and coincidentally I was to travel to Bangalore the next day. I scheduled a meeting with him. On Sunday, we met at a coffee shop and chatted about his diagnosis. He was the first person I knew as healthy who was now on dialysis. It was weird listening to him talk about fluid restrictions, lying on the dialysis bed for hours during the day to get dialysis and the fact that he had a fistula on his arm! He will be getting transplanted in a few months and I am sure will be ok after that. It is IgA Nephropathy, only IgA Nephropathy and after all, IgA Nephropathy! 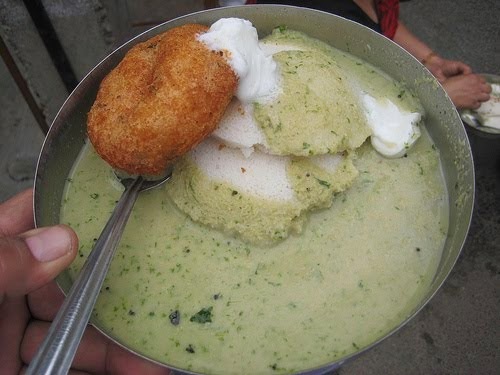 I had got some recommendations for good Idli places in Bangalore. 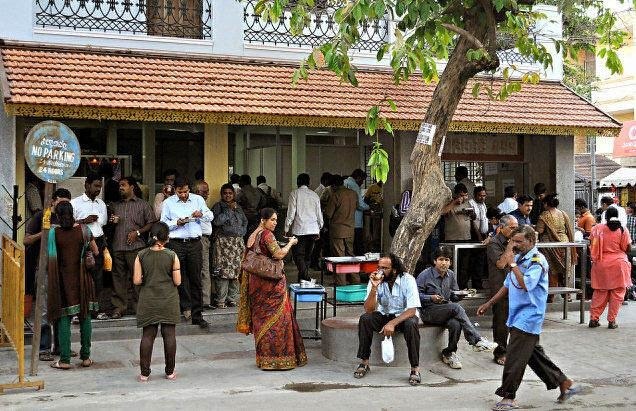 I started off with the tried and tested Brahmin's Coffee Bar in Basavangudi. The idlis and vadas were out of the world. I then went to the street market at Nagarathpet. I had heard so much about these 'bandis' at Nagarathpet. It is a street full of shops in the busy Raja Market. The shops close by dusk and numerous little 'bandis' serving piping hot 'tiffins' line the street at night. I sampled the idlis at one 'bandi' and the 'thatte idli' at another. Good but not as good as I had expected based on the hype. 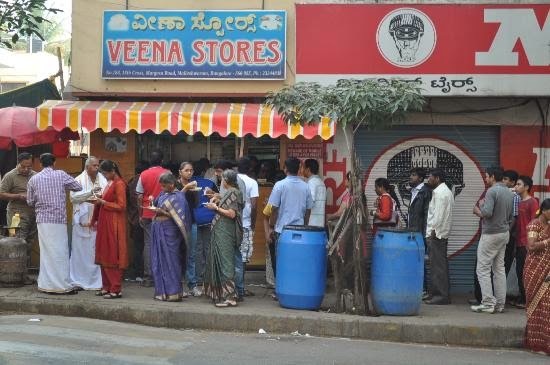 On Sunday morning, I went to Veena Stores which sells masalas during the day and 'tiffins' in the mornings. 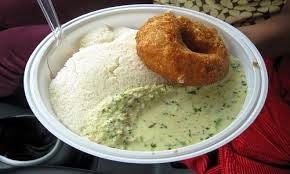 The idlis were even better than Brahmin's but I would rate the vadas at Brahmin's better. I was also advised to try the dosas at Janardhana near Race Course Road. I told my aunt who recommended this place that I was not much of a dosa guy! She said after eating dosas at Janardhana, I would become a dosa guy! So, I took up the challenge and went there on Sunday evening. The dosa was one of the best I have ever eaten. I still firmly remain an Idli guy but yes, the dosas were really excellent! 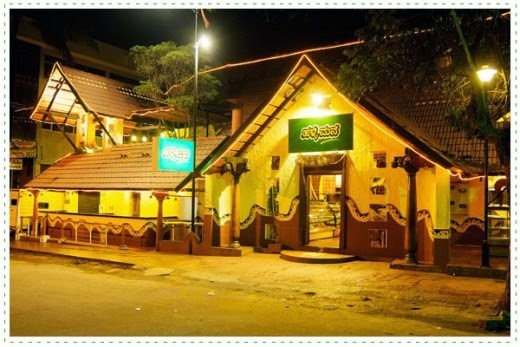 I also went for dinner to a place at Malleshwaram called Halli Manne. I was looking to try some authentic Kannadiga cuisine. We went to an upper floor where they were serving the meals. The trouble was the meal was a mix of Kannadiga and North Indian. So you had the ragi roti jostling for attention with a kulcha and a traditional dal competing for some love with a paneer curry! I was quite disappointed. Who wanted to eat Punjabi in a place like this? I guess the locals don't want traditional Kannadiga food. So, while they probably started off like that, they were forced to modify the menu to cater to the local clientele. I guess Punjabi cuisine has this bad habit of bastardising all cuisines!